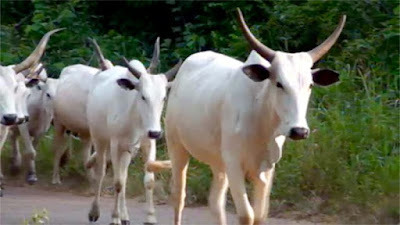 No fewer than 15 cattle traders have lost their lives in a trailer accident along Koko/Maiyama road in Kebbi State. The traders it was learnt were heading to Lagos and Ibadan in the south west to sell their cows when the accident happened. It was gathered that many of the traders were from the villages of Andare, Katenga and Maiyama in Kebbi State. An eye witness said the truck in which they were traveling with over 200 cows lost control along Maiyama -Koko road, veered -off the road before it tumbled into the bush. Another eye witness, Mallam Garba Maiyama said about 35 of them were in the vehicle when the accident happened. “But 15 of the traders died in the accident. They were taken to their respective villages for burial according to Islamic rites”, he said. He lamented that the unfortunate part of the accident was that five of the victims were from same family in one of the affected villages. Governor Abubakar Atiku Bagudu was at Maiyama last week to condole the families of the late traders. He lamented their unfortunate death and prayed Allah grant them Aljanah. The Police Public Relation Officer(PPRO),Kebbi State Police Command,DSP Danjuma Possy said the accident has not been officially reported to the police.